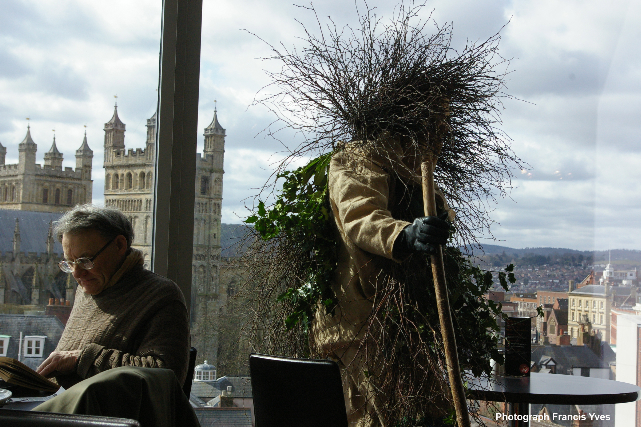 On March 21st the spring equinox, Exeter will be visited by an old Devon character in contemporary form. From dawn onwards the Green Man will be walking into Exeter centre from his home somewhere in the rolling hills surrounding the city. Members of the public can run into him any time between dawn and noon when he will disappear without trace until next year. Anyone can approach him along his journey – he is courteous, photogenic and has a propensity for hugs said to banish the winter blues and promote change generally. On his way into town, he will leave behind blessings for new life and messages for members of the public to find and keep in the form of original artworks by an Exeter based artist. The Green Man’s journey will be followed closely by DJ Sketch and Dr Site during a radio special on Exeter’s favourite community station phonic.fm. Studio guests will provide expert knowledge and discussion about the Green Man’s history and appearances across the centuries. 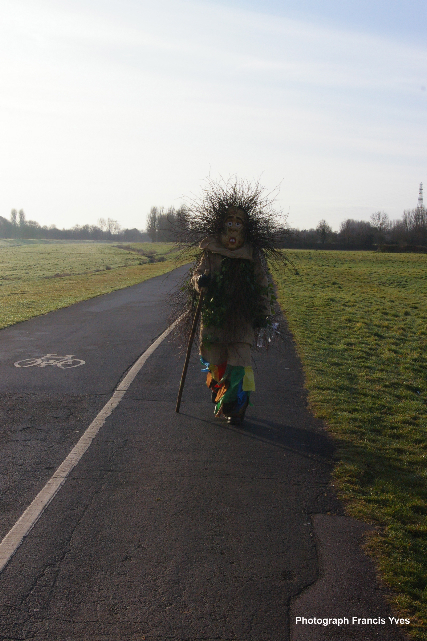 Listeners can also join in the chase by phoning or emailing the station to report sightings of the Green Man throughout the morning. This year Exeter Phoenix have offered free tickets for the best Green Man photograph which will also be exhibited at the arts centre. There will also be prizes offered in exchange for some of the Green Man’s special blessings. Find out more on the phonic.fm website. Join in the hunt for the Green Man on March 21st between 5.30am and midday by tuning into phonic.fm 106.8fm in Exeter or via worldwide live streaming on www.phonic.fm. Report your sightings to the phonic.fm studio on 01392 434577 or email studio@phonic.fm. Lines will be open between 5.30 am and 12pm. This year’s Green Man Coming is being hosted by the Vibraphonic Festival and phonic.fm. 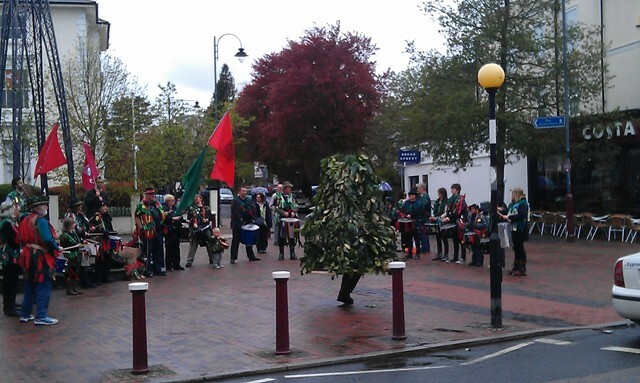 The Green Man’s mission is being supported by Exeter Arts Council.